Suzanne Lauder has continued the family business as the new owner of Moira Fine Jewellery, after having worked in the industry for over 30 years. Moira’s principal collection can now primarily be viewed at Richard Ogden’s in the Burlington Arcade, where the two esteemed antique jewellers join their knowledge and expertise of buying and selling collectables. The Moira Fine Jewellery collection is renowned worldwide for its elegance of design. Over the last three decades Suzanne and her brother Simon, have built the antique jewellery range with regular exhibitions in Palm Beach, New York, Las Vegas, Los Angeles, Chicago, Dallas; the Far East - Hong Kong, Japan, Singapore; and Europe – the Olympia and LAPADA London shows. The range of fine antique jewellery spans twentieth century signed originals from the finest design houses, the Art Deco period, 1940s gold work, to the modernist creations of the 1950s to the 1980s. 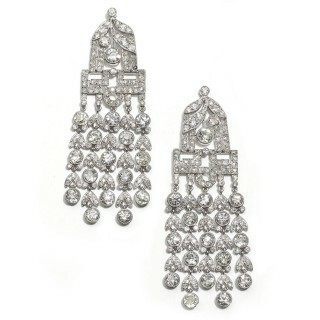 Their modern jewellery complements the vintage range, to satisfy the desire for unique and truly individual pieces. 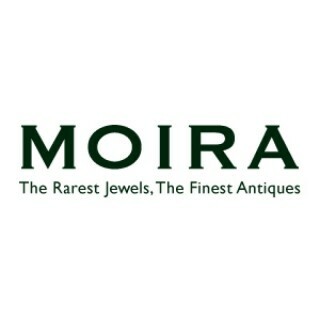 For gifts and heirlooms for the gentlemen, Moira offers one of the largest signed collections of antique and vintage cufflinks and signet rings in London. For those looking to tie the knot we have a range of contemporary, classic and vintage engagement rings, complemented by our collection of wedding rings that are available to order. 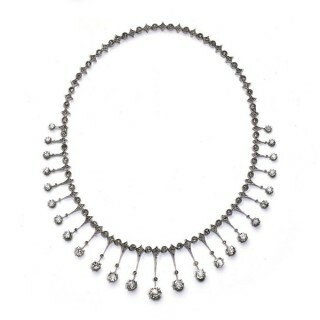 The reputation of this exquisite collection, together with Moira and Suzanne’s warmth of relationship with their customers, have led to visits from numerous esteemed clients, with many of their pieces becoming treasured parts in the collections of royal families. They also count Madonna, Adele, Rod Stewart, Goldie Hawn, J. K Rowling, Simon Le Bon, Sylvester Stallone, Danielle Steel, Dustin Hoffman, Daniel Craig and Sir Paul McCartney amongst their customers. We would like to invite you to come in to view the Moira collection. We would also be delighted to help you sell, restore or remodel your items of jewellery, and to provide valuations for insurance purposes.